Experts say the latest addition to Samsung’s flagship smartphone is strikingly-similar to the S8, but it does offer some design improvements and new features to rival Apple’s iPhone X. The Samsung Galaxy S9 is here and can be pre-ordered now in Europe (or March 2 in the US) until its worldwide release on March 16. 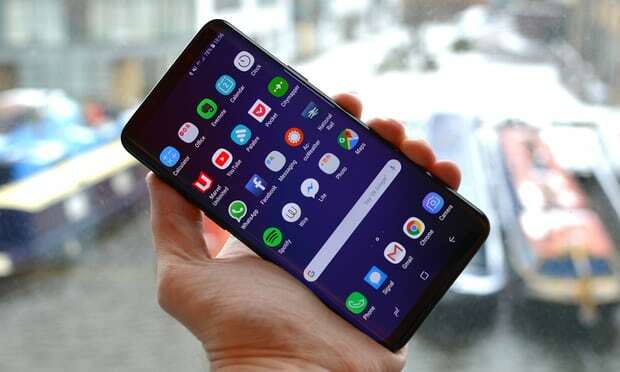 Electronics giant Samsung unveiled the new model on Sunday at the Mobile World Congress 2018 in Barcelona, and hands-on reviews have been flooding in since. If any other company did this, its phones would quickly be cast into the shadows for lacking innovation or an eye-catching feature to draw in potential buyers. But Samsung isn’t like other companies — Samsung is sitting at the very top of the Android world, sucking in nearly all of the available profits in the $700+ price segment. The S8’s fingerprint scanner was a frustrating experience: it was small, hard to reach, and right next to the camera, which meant most of the time, I ended up with fingerprints on the camera lens. The S9’s scanner has been moved to just below the camera, which makes it much easier to reach, especially on the larger S9 Plus. The new stereo speakers are more successful: they are louder, clearer, and more enjoyable to listen to than the S8’s single speaker. Samsung is playing catch-up here — many other phones have had stereo speakers for years now — but I’m glad to see (and hear) them finally on a Galaxy phone. They aren’t the best speakers I’ve heard on a phone, but they are more than good enough. Powered by Qualcomm’s Snapdragon 845 processor and 6GB of RAM, the Galaxy S9+ is an absolute beast. When playing Tekken on the expansive 6.2-inch display with 18 other apps open in the background, I executed three combos in a row — including an explosive kick to the face — and the S9+ never stuttered. In the right conditions and when the subject isn’t too far away, sometimes you can notice a difference in depth of field, which is the distance between the nearest and farthest things that appears to be in focus. But in auto mode, the S9 will just choose the whatever setting works best, and it’s almost always right. So most people won’t notice when the camera’s aperture changes. That said, don’t assume the S9’s camera has failed to improve. It’s better. In well-lit scenes, the S9 can totally hang with the Pixel 2, even with Google’s often praised extra-special HDR processing. When I took a sample shot of lower Manhattan using both phones (see above), the biggest difference between the two pictures was how the movement changed between the two sets of pics. The photos were essentially the same. So then I went back at night and took the exact same shot. That’s when the S9+ pulled ahead. With both handsets on auto (including HDR), Samsung’s version was clearly the winner. Say what you want about the powers of computational photography, that tech has it’s limits, and there’s still no substitute for high quality optics. The Galaxy S9 and S9+ have screens of the same size and shape as last year’s S8 and S8+, so there’s really not much to report on there in terms of difference. They do have slightly reduced bezels, making the phones a hair shorter, but most people aren’t going to notice this – you’d have to hold them side by side to even see it. The bezels are already so small on these phones relative to anything this side of an iPhone X that it’s really just nitpicking to say Samsung could shrink them further, though I wouldn’t mind if that bottom lip just disappeared entirely, personally. Overall, the S9 models are iterative upgrades to last year’s models, and that’s by design. The improvements over last year are designed to be subtle, but appreciated refinements, mostly around the camera.